Analysis: Milwaukee’s starting pitchers lead the Majors with 29 quality starts this season and tonight’s starter, Wily Peralta, is set to improve upon that number against a struggling Pittsburgh squad. The Pirates are 4-11 on the road this season where they are batting a woeful .217 with a .280 on base percentage (3.3 runs per game). The Pirates are also 14-21 versus right-handed starters against whom they are hitting just .250 with a .315 on base percentage (4.0 runs per game). Meanwhile, Milwaukee right-hander Wily Peralta is 4-2 with a 2.17 ERA and 1.13 WHIP this season, including going 3-0 with a 1.71 ERA and 0.94 WHIP at night, 3-1 with a 1.59 ERA and 0.95 WHIP versus division opponents and 1-2 with a 2.14 ERA and 1.19 WHIP over his last three outings. Peralta is 11-9 with a 2.78 ERA in his last 24 starts dating back to last season, and he has made six consecutive quality starts entering tonight’s game. 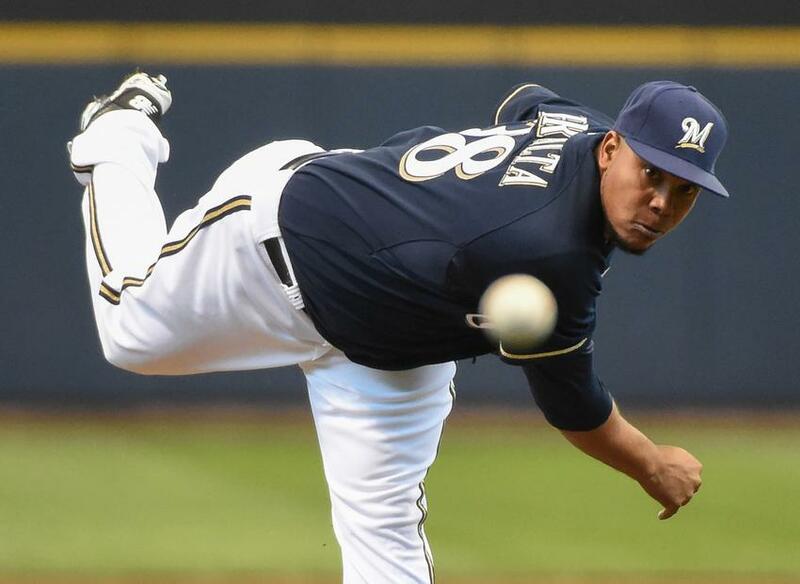 I also like the fact that Peralta is supported by a very good Milwaukee bullpen that enters tonight’s game with a 3.03 ERA and 1.15 WHIP, including boasting a 2.24 ERA and 0.95 WHIP at home and a 2.82 ERA and 1.20 WHIP over the last seven games. From a technical standpoint, Pittsburgh is a money-burning 9-18 (-9.9 units) in competitively-priced games (-125 to +125) and 2-11 (-9.1 units) on the road versus right-handed starters, whereas the Brewers are a profitable 15-7 (+8.0 units) in competitively-priced games (-125 to +125). Finally, tonight’s home plate umpire, Dan Iassogna, is an 83.3% winning proposition for home teams this season. With Milwaukee standing at 71-30 in its last 101 meetings with Pittsburgh, take the Brewers behind one of the most underrated hurlers in the game and invest with confidence. Injury Concerns: Milwaukee third baseman Aramis Ramirez is going on the disabled list for a strained left hamstring. Hours later, lower back tightness forced Carlos Gomez to leave last night’s game. Gomez leads the Brewers with nine homers and his 21 RBIs are tied with Ramirez for the team lead. The center fielder is also 9 for 18 against scheduled starter Francisco Liriano. In preparation for a possible suspension for Gomez’s involvement in a benches-clearing event against Pittsburgh last month, the Brewers recalled Elian Herrera from Triple-A Nashville on Tuesday. He had two hits after replacing Gomez.